Yung Jake is a man of many trades. 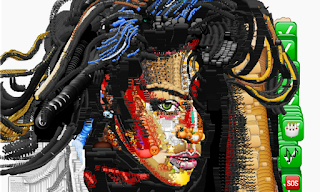 The pseudonymous rapper, new media artist, and CalArts alum first made waves in 2013 with an interactive HTML5 video that was featured at Sundance. In 2014, he had his first solo show at Steve Turner Contemporary in Los Angeles (see Meet Yung Jake Rapper and New Media Art Sensation). 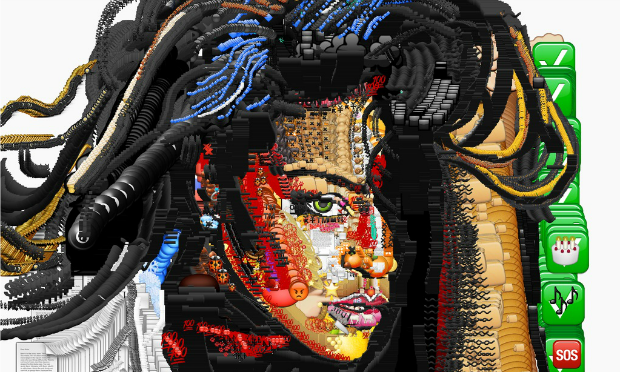 Now, he has created what was probably inevitable: celebrity portraits composed of emojis. 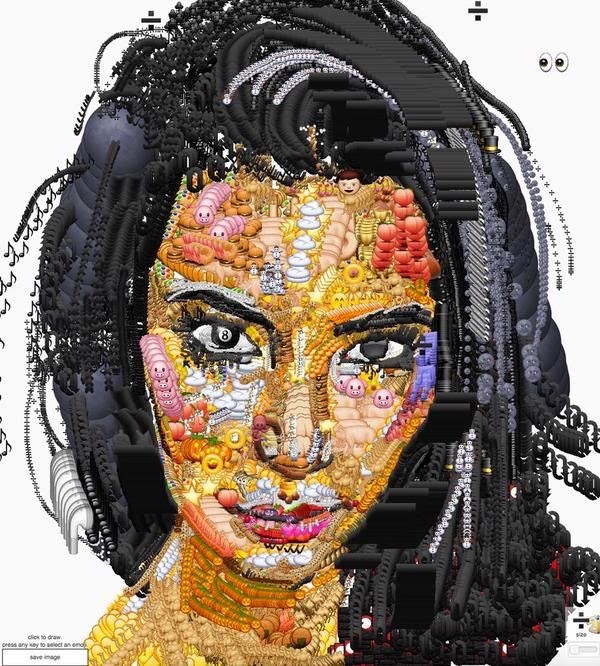 The Creators Project reports that Jake uses an emoji paintbrush tool called emoji.ink (don’t worry, we didn’t know that existed either) to craft the portraits, which so far include Larry David, Wiz Khalifa, Chief Keef, and yes, Kim Kardashian. #BreakTheInternet, indeed. On his Twitter page, Jake is posting the works and asking followers who he should emojify next. We nominate Miley Cyrus because she’s colorful and it will give him a chance to employ some of the lesser-used fruits, candies, and animals. We’d also happily settle for Lady Gaga as well.